In June 2011 Internet-service GBULLION has become an even safer and more cost-efficient resource for buying and selling gold on-line. Major changes have touched upon the security system and GBULLION rates. From now on all the fund transfers or withdrawals are possible only to a user’s registered bank account that is, an unauthorized money transfer to a third party account is impossible. The transfer of gold within GBULLION system was eliminated due to the new legal requirement of the regulation authority (Dubai Multi Commodities Centre). The gold buying fees have been consolidated, now it is a stable fee of 1,2% for every client. 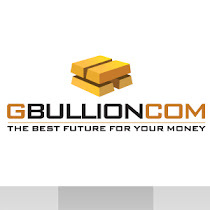 The buy-back of gold by GBULLION is carried out free of charge. The most important change however deals with the fact that now you will buy and sell gold for one price (Gold Spot Price), which is being updated every 15 minutes. Changes have also affected GBULLION Referral Programme. It has been simplified by means of eliminating multi-level structure, entrance fees and welcome-coupons. Now having introduced a new user to the system, a participant of the Referral Programme automatically gets 30% of the commission earned by GBULLION on every gold purchase of the referent. We believe that these and other changes (the details are available on GBULLION website) will positively influence the development of the service in general and add up to its attractiveness for investors.